Not only is our skin our largest organ, but it also plays a critical role in protecting our insides from life’s elements. 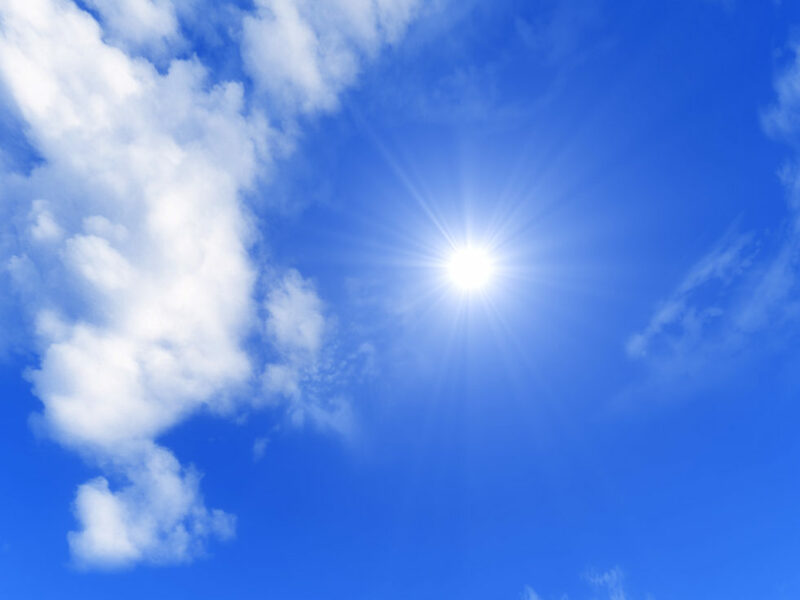 It is up to us however to protect it from the damaging effects of the sun (i.e. burns, wrinkles, premature aging, skin cancer etc.). 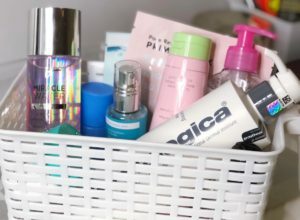 Every year, I compile a list of my favourite sunscreens and share them on this site. These are the lotions, sprays and sun products that I’ve been using all year long to protect myself and my family from everyday sun exposure. If you’re not a stranger to my sunscreen posts, then you’ll notice a few repeats, mainly Ombrelle and Clarins! What can I say, I know what I like! 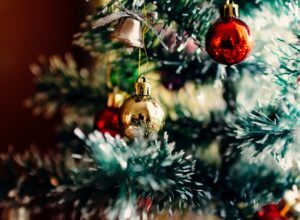 You can also check out previous posts here, here, here and here! 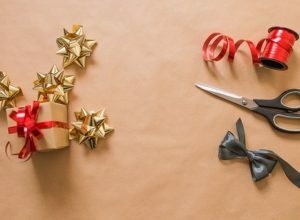 But for now, let’s take a closer look at which products made the cut this year! This year, I’ve been really loving two of Neutrogena’s sunscreen formulas. The first is a lightweight water gel sunscreen that feels incredibly refreshing on the skin and the other is a convenient face & body stick that I can throw in my bag and carry year round. 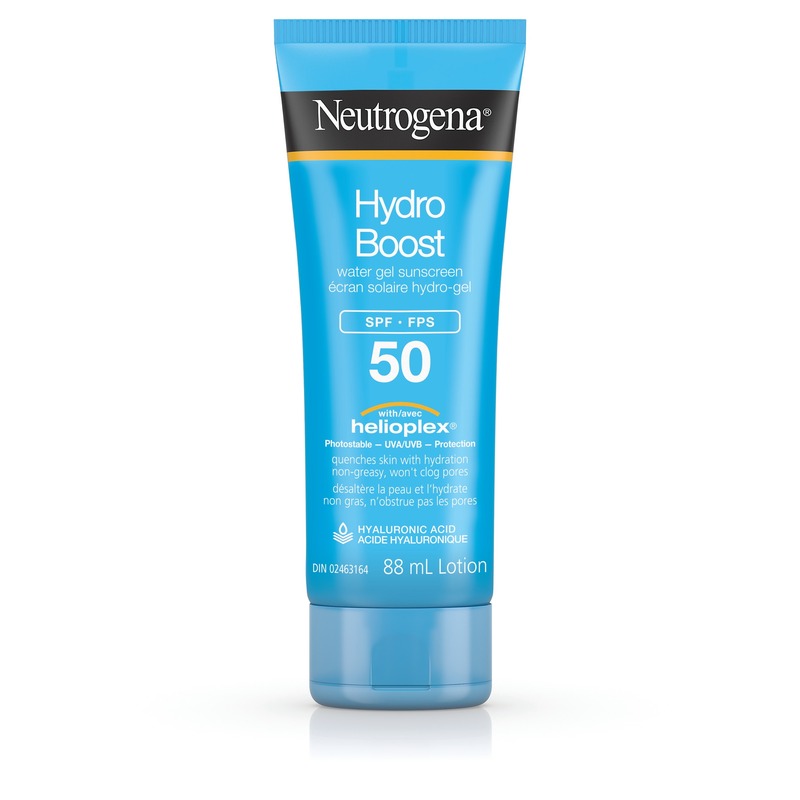 Neutrogena’s Hydro Boost SPF 50 has a lightweight, hydrating texture infused with hyaluronic acid and glycerin, making it perfect for anyone with dry skin. It is waterproof, non-greasy, oil-free and offers broad spectrum UVA/UVB protection. Although not marketed as a facial sunscreen, I love using this sunscreen under my makeup. It doesn’t break me out and doesn’t leave behind any white film, however this sunscreen does contain alcohol and fragrance, which may not appeal to those of you with more sensitive skin. 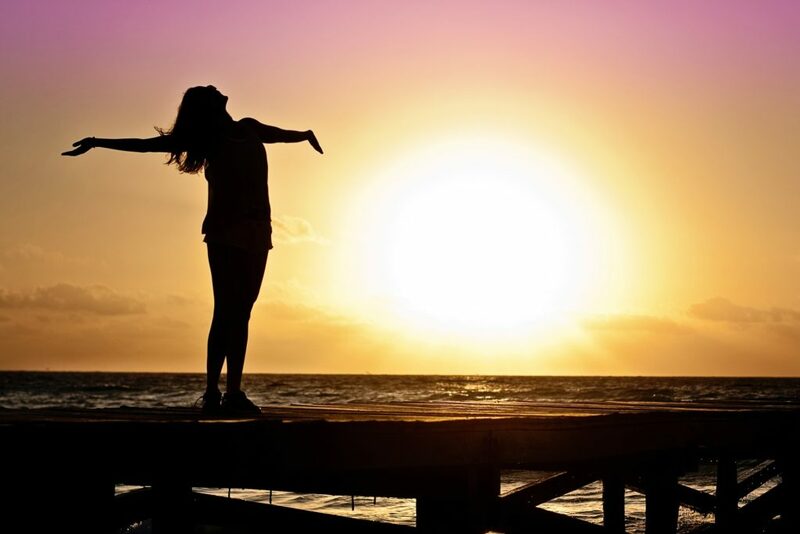 This glide-on sunscreen stick is so convenient and can be taken anywhere you go! 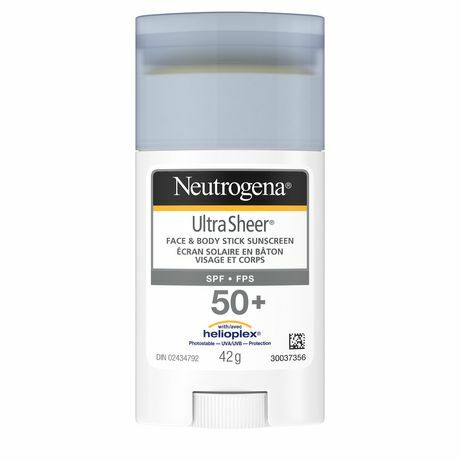 Neutrogena’s Ultra Sheer Face & Body Stick Sunscreen glides on easily, is mess-free and perfect for travel. It also contains HELIOPLEX® and Dry-Touch technologies for UVA-UVB protection and an ultra-light, non-greasy finish. I really love how portable it is (can you tell?!) and its light, fresh scent. 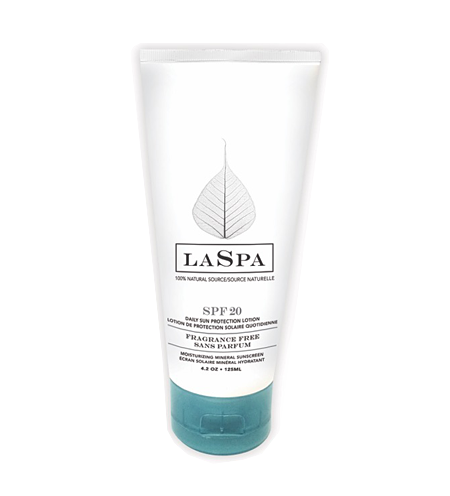 Canadian-made La Spa made the list this year with its Daily Sun Protection Mineral Sunscreen Lotion SPF 20, a nourishing lotion meant to be used daily under makeup or all over the body. This daily regime sun protection lotion moisturizes skin with a formula of organic coconut oil and vitamin E and also claims to counteract the aging and damaging effects of the suns rays. While I can not confirm that it has long-term anti-aging properties, I’v been loving its luxurious, mineral-based formula and use it on my neck and décolleté. 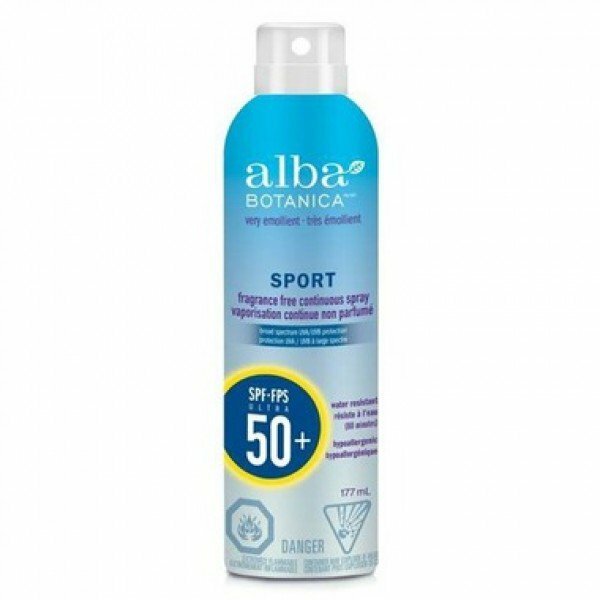 Alba Botanica’s Sport Sunscreen Continuous Spray SPF 50 is another must-try sunscreen. The fragrance free, lightweight mist offers convenient broad spectrum UVA-UVB protection for those with more active lifestyles. 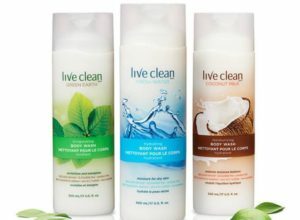 I love its air-powered, earth-friendly packaging and its scent! This water/sweat resistant sunscreen can be found in Canada at Healthy Planet, Whole Foods or online at well.ca. As hinted to above, one of my tried, tested and true sunscreens for the past 4 or so years has been Ombrelle’s 50+ Kids Water Resistant Lotion (or Ultra Gentle Lotion Spray). This sunscreen is one of the most gentle and moisturizing formulas out there and has been specifically formulated for children’s delicate skin. It provides broad spectrum UVA-UVB protection, is water-resistant & fragrance free and most importantly it works! 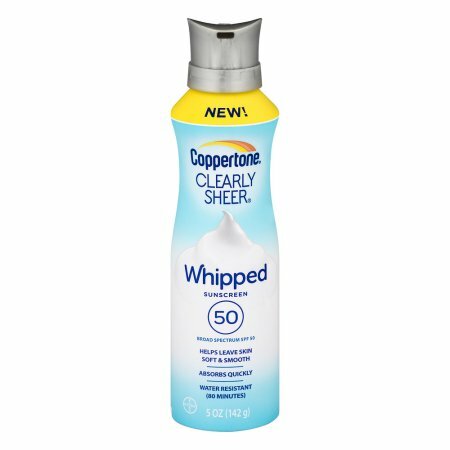 Coppertone launched an amazing new formula this year and so logically, their ClearlySheer Whipped Sunscreen SPF 50 deserves a place on this list! 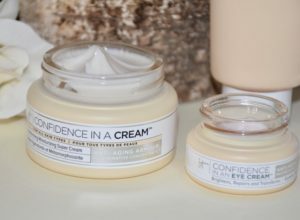 Its mousse formula goes on easily, absorbs quickly and leaves skin feeling soft and smooth. 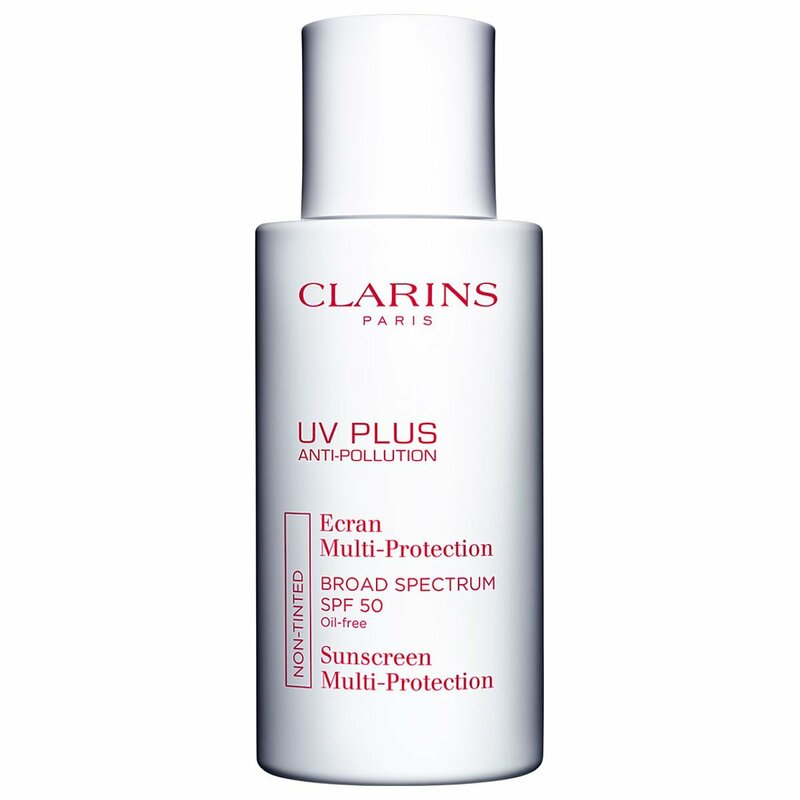 It offers broad UVA-UVB protection, doesn’t clog pores and is also water-resistant. My only wish is that the formula was a bit thinner. 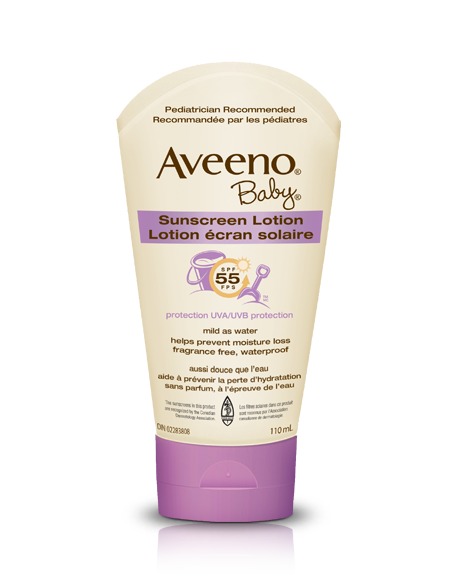 Aveeno Baby’s Sunscreen Lotion SPF 55 is perfect for those of you with small children at home. It is as mild as water, soothes and protects your babies skin and helps prevent moisture loss with its oatmeal enriched formula. This UVA-UVB protective sunscreen is also non-greasy, fragrance-free and waterproof. Another repeat favourite is the Clarins UV Plus Anti-Pollution Sunscreen Multi-Protection SPF 50. This pocket-size sunscreen made my list last year but it continues to outperform some newer formulas that I’ve tried. 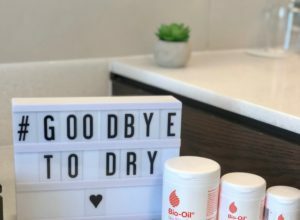 Not only does it protect the skin against the damaging effects of UV exposure and pollution but it also helps provide a more youthful complexion. I love it! 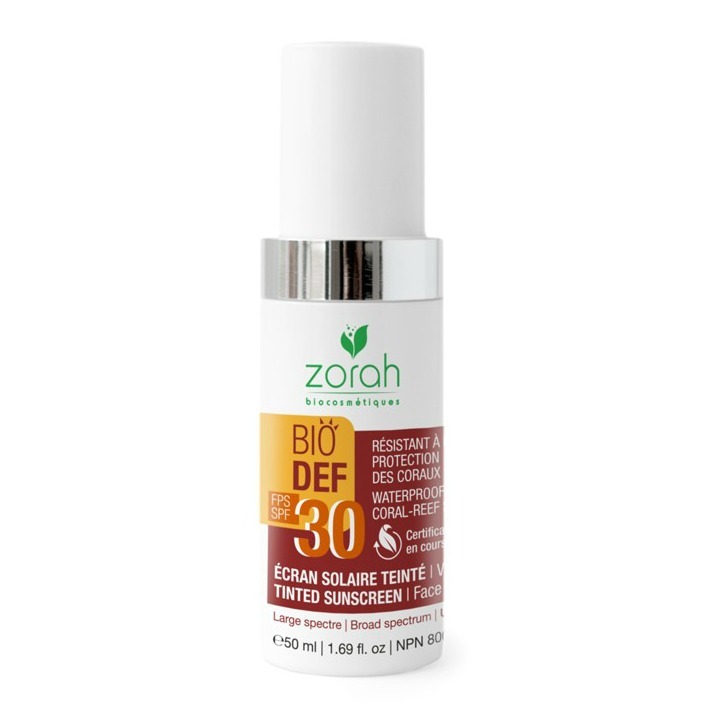 Next up is Zorah Biocosmétiques’ new Bio Def Tinted Sunscreen SPF 30. This beautiful formula evens out the complexion and hides imperfections while protecting the skin from UVA and UVB rays. Its Argan Oil rich formula makes it very hydrating and regenerating. Although, I’m not the biggest fan of its scent, I absolutely love how luminous this sunscreen makes my skin look and use it interchangeably with Neutrogena’s Hydro Boost under my makeup. 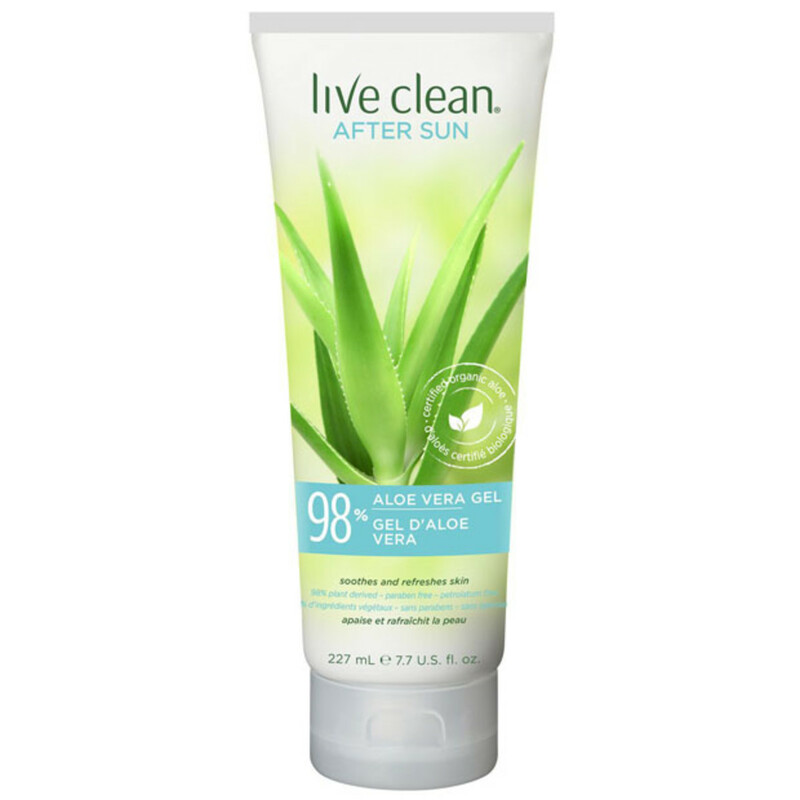 And finally, despite your best efforts, over-exposure to the sun can happen and if and when it does, the soothing, cooling powers of Live Clean’s After Sun 98% Aloe Vera Gel can provide some comfort. Its organic formula of Aloe Vera, certified organic botanicals, Australian Tea Tree Oil and Arnica Extract make this my top “After Sun” pick! What sunscreen(s) are you currently using? Do you prefer chemical or mineral formulas? Let me know by leaving a comment below.